BRYAN EATON/Staff photo. 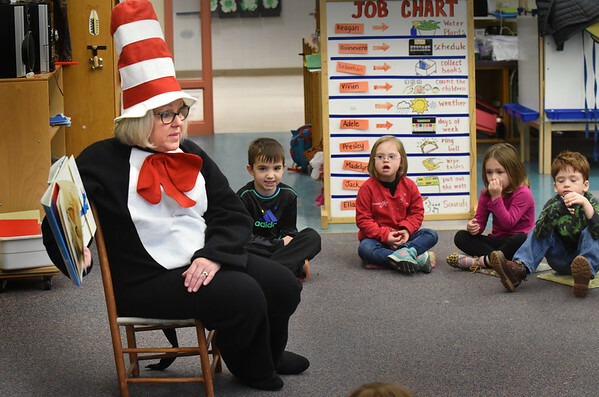 Margot Ryan, reading specialist at Newbury Elementary School, participated in "Read Across America" which celebrates Dr. Seuss's birthday Thursday. She was reading "There Are No Cats in This Book" to pre-kindergartners dressed as the Cat in the Hat.